Several Themes to choose from! Shows to make your Birthday Child feel Special! Our birthday party performances start with a puppet intro character that warms up the audience and gets the kids used to the puppets. This is followed by a brief musical number featuring our famous dancing caterpillar. Then the audience enjoys one of several stories that we offer (we can make suggestions based on the age range of the kids attending and the theme of your party). In all of our stories the audience helps the hero of the story foil the villain. For example in “The Boy Who Cried Wolf,” the audience helps the Boy trick the Wolf and capture him. At the end of the story we bring out the puppets and show the kids how we’ve built them and how they were moved (children love this part almost as much as the show!). Join the Birthday List: Be the First to Know About New Shows and Special Birthday Bonuses. Thank you for the awesome job you did entertaining our guests!! I heard nothing but great comments about your performance..you definitely have lots of talent. It was a real pleasure working with you, Rachel. I’m pretty sure more people will be contacting you in my area for their parties soon. Thank you for helping to make Thomas’ birthday such a wonderful day for all of us. You were a hit with the children and parents. 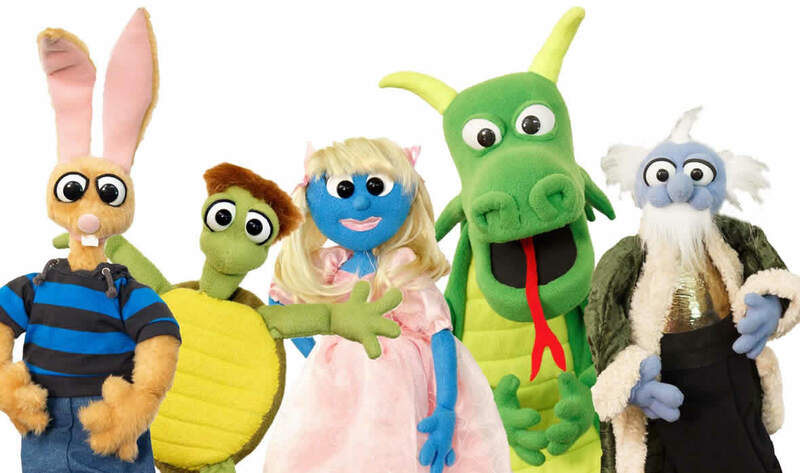 We look forward to seeing more of Puppet Art Theater soon! Thank you Puppet Art Theater for being such a fun and memorable part of our children’s birthdays. Your stories & characters have the kids enthusiastically participating and your humor has the adults laughing out loud too. Truly fun for all!